The people of Chester’s Mill fall into a state of panic as an outbreak of meningitis strikes their community, threatening their already depleted medical supplies. Meanwhile, Julia continues to search for answers into her husband’s disappearance, on UNDER THE DOME. 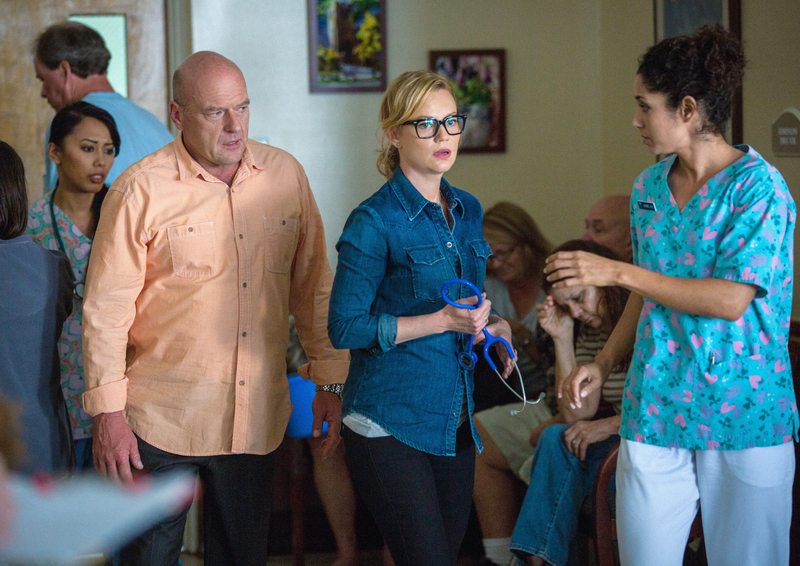 Pictured: L-R Dean Norris as James "Big Jim" Rennie and Alice Calvert as Samantha Mathis Photo: Michael Tackett/©2013 CBS Broadcasting Inc. All Rights Reserved.